Garfield’s Defense is a critical hit on Android! 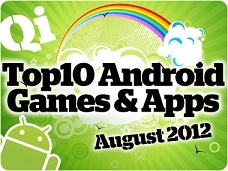 The free game featuring Garfield the cat defending his home against bizarre alien invaders has been hailed as one of the top 10 critically acclaimed Android games of August 2012 by Android Qualityindex. The Quality Index (or Qi, for short) trawls the web for game and app reviews from the world’s most respected online and print sources, including 148Apps, Pocket Gamer, and Modojo. You can read the full article here. This news follows another Garfield success: last month Garfield’s Diner was recognized as one of the top 10 most critically acclaimed apps of July 2012. Thank you everyone for your support and for helping to make our apps successful!